There are two kinds of wedding reception. The traditional wedding ‘breakfast’ – a sit-down, formal lunch with a top table for the bride and family and placements for everyone else. The stand-up, canapés style lunch, which would normally follow an early or mid-afternoon service. Almost all hotel venues have their own kitchens and in-house caterers, so when booking the venue you’ll almost certainly have no option but to use theirs. If your chosen venue doesn’t have its own in-house staff, however, catering will be your wedding’s biggest additional expense. But if planned carefully, it could also be where you make your biggest savings. Typically, outside catering packages cost anything from £25-£95 per guest, which is a huge price range when multiplied by 100 guests. 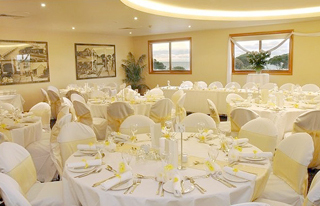 Caterers normally include linen, crockery and cutlery in their pricing, and glasses, if they’re supplying the drinks. Their price should also include the waiting staff who will serve the meal and be responsible for tiding up afterwards. Many specialist wedding caterers will have their own mobile kitchens and bar service. These will come with a selection of chairs, tablecloths and sometimes chair covers. However, if you are looking for something unusual you may choose to hire in catering equipment. The most common catering equipment hired are chiller units; whether for champagne, wedding leftovers or a bit of extra fridge space for the weekend, you’ll find they’ll come in very handy. Vintage crockery and country style linen, too, have been popular at weddings these past years and pretty, floral patterns and gingham are all available from specialist hire companies. It’s important to do some research on your chosen caterers. That said, catering companies equipped to serve 150 guests in one sitting aren’t necessarily set up to cook a sample for one person. They may be happy for you to visit them on location at a reception, though. If they agree, try to arrive an hour or so before guests so you can see the quality of their linen, their crockery and cutlery, meet their service staff, and get a feel of how well organised they are. But remember they’ll be busy, too, so try not to distract them with too many questions. Just observe and take notes which you can then cover afterwards with them. It’s good to find out who will be in charge on your day. Larger catering companies have several teams, each covering a different wedding, so make sure you’re seeing the team that’ll be servicing your wedding day. Meeting the team beforehand will not only ensure you see some familiar faces on your day, but also give you a chance to see how well they work under pressure. Check you’re happy with the quality of china, table linen, glassware and crockery, too, and that the staff are suitably dressed. A barbecue or hog roast as an evening wedding reception is a relaxed and informal way for your guests to mingle and get to know each other. This isn’t just an option for rustic barn venues; some of the UK’s most prestigious venues offer gourmet barbecues, handmade relishes and locally produced organic meats, so this might be a great way for you to enjoy your wedding. 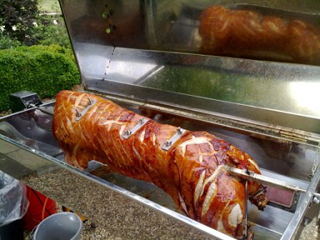 Hog roasts are fast becoming an alternative to the traditional sit down dinners and evening buffets and are a great option for large weddings with over 150 guests because of economies of scale. But don’t be put off if you only have a small wedding; a smaller joint can be used with just as much effect. Remember, though, to offer a suitable alternative for vegetarians. Cheese wedding cakes are a good alternative and plenty of salad and bread of course. But remember, vegetarians don’t just want to be a troublesome afterthought, so consider their feelings when planning your catering. The pig is pre-prepared prior to the wedding. The head can be removed if you think it may be inappropriate to leave on. It’s then cleaned, wrapped and seasoned. On the morning of your wedding, the pig will be put on to the spit and delivered to the wedding venue ready for cooking. The pig takes anything between 4-6 hours to cook, with the chef supervising the entire process. But the use of such a special roasting unit means it can be cooked pretty much anywhere; hotels, restaurants or even gardens, so it’s a versatile option. Once cooked, the pig is carved and served on heated roasting dishes on a buffet table. Sauces and salads are laid out for your guests to help themselves or are served onto plate by the chef. Any leftovers can be used in a curry the next day, so remember to ask your venue to store it in a chiller ready for you to collect. And if you’re not a pork fan, how about lamb, beef joints or chicken cooked using a spit racking? In short, Hog roasts can be much more than just pork and stuffing in a bap and your chosen meat can be served in many variations. 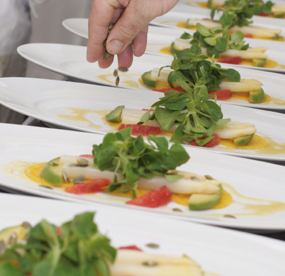 Do you (the venue) allow outside caterers on your premises? Can you (the caterers) supply us with example menus and prices? Can you provide a cake stand and knife if required? Do you have a curfew for receptions? Do you allow us to bring in wine and champagne? If so, what is your corkage charge? 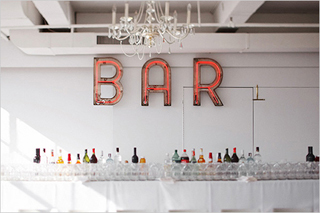 Alcohol will be large part of your budget, too, especially if you have an open bar. Savings can be made when using your own caterers as most will be happy for you to supply your own wine. Check what their corkage charges are in advance and who covers the cost of the chillers, glassware and bar staff they provide to serve your drinks. Also, if bringing in your own alcohol, consider what you’ll do with the surplus after the day, or what you’ll do if you run out on the day! A best option may be to hire in a bar service. If you don’t have an ‘open’ bar and intend to charge guests for drinks during the evening reception, this could be the best bet. The cost is minimal for a normal pub-run bar for a reasonably sized wedding, but more expensive for a specialist bar serving cocktails. A bar service provider will probably base their price on a minimum agreed amount of alcohol sold because this is where their profit is generated. The best part is that the bar service will deal with the licensing requirements on your behalf… but check that, too!